Dr. Sameh graduated from Kaser Al Aini School of Medicine at Cairo University, Egypt (1987), and the M.B.Ch.B. in Internal Medicine from Cairo University (1993). 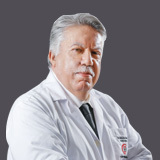 He received his basic and advanced training in Nephrology practice at Kobri El Koba Hospital (1995-1997), as well as a training course in Nephrology at Brooke Army Medical Centre, Nephrology Department, San Antonio, Texas, USA (2001). His P.D Forum is from Prince Salman Centre for Kidney Diseases (April 2007). 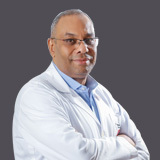 Dr. Sameh was a Resident of Internal Medicine & Emergency at Cairo University Hospitals, Kaser El Aini, (1992-1993) and Registrant of Nephrology at Kobri El Koba Hospital. Dr. Sameh worked as Director of the Nephrology Department at Tanta Hospital (2002-2004), Director of Nephrology Department & Assistant Medical director of O.P.C. and Emergency department at the Army Force Production Hospital (2004-2005), and a Nephrologist in Prince Salman Center for Kidney Diseases (2005-2009). Dr. Sameh speaks Arabic and English.